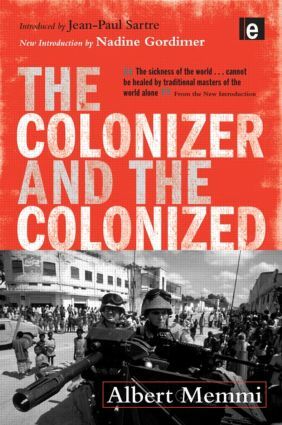 Albert Memmi's classic work stands as one of the most powerful and psychologically penetrating studies of colonial oppression ever written. Dissecting the minds of both the oppressor and the oppressed, Memmi reveals truths about the colonial situation and struggle that are as relevant today as they were five decades ago. Nobel Laureate Nadine Gordimer's new critical Introduction draws Memmi into the 21st century by reflecting on his achievements and highlighting his omissions. In doing so she opens new avenues of enquiry for scholars and students, and exposes new directions for activists seeking a more just world order in our neo-colonial age. With the fires of war, terrorism and protest burning around the globe, never has Memmi's work been such relevant and necessary reading.